One source of donations is personalized red brick pavers that will occupy a prominent place in the center of the plaza. 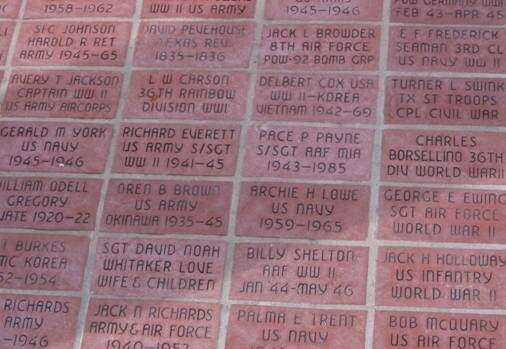 These personalized bricks may be ordered with a donation of $125 through the foundation. 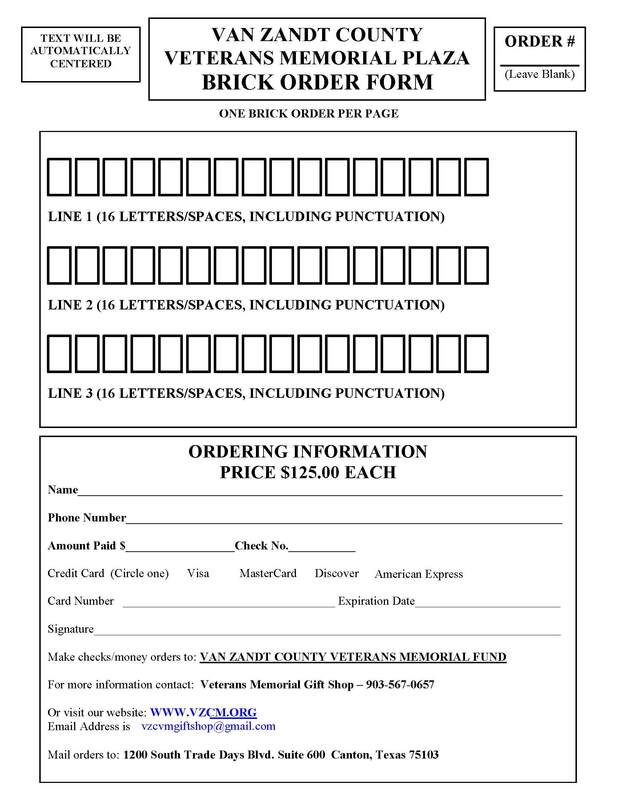 You may also return the completed brick form to the Veterans Memorial Museum and Visitors Center at 1200 S. Trade Days Blvd (Hwy 19), Suite 600, near the intersection of Hwys 19 and 243 in Canton, Texas, telephone (903)567-0657. Gift shop hours are Tuesday through Saturday, 10 AM to 4 PM.